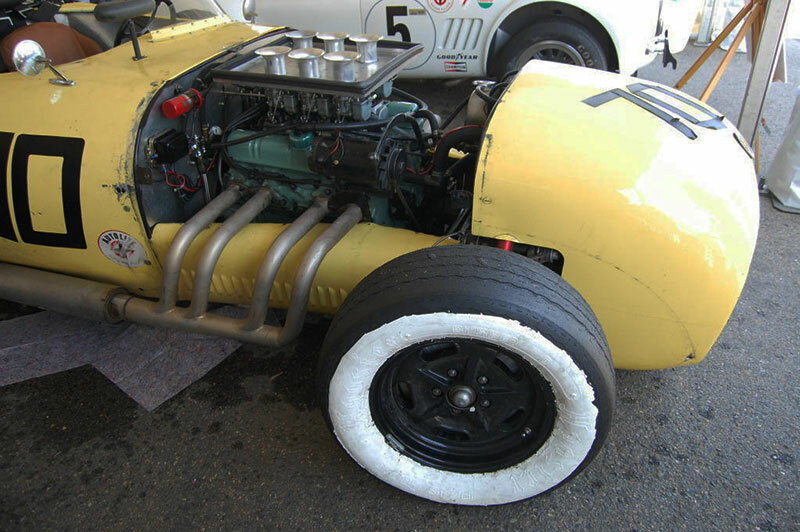 The somewhat crude surface of Old Yeller II belies its brilliant fundamental layout, chassis, and engine design. That’s how Old Yeller II was able to successfully compete against more sophisticated Ferraris, Jaguars, and Porsches of its day. 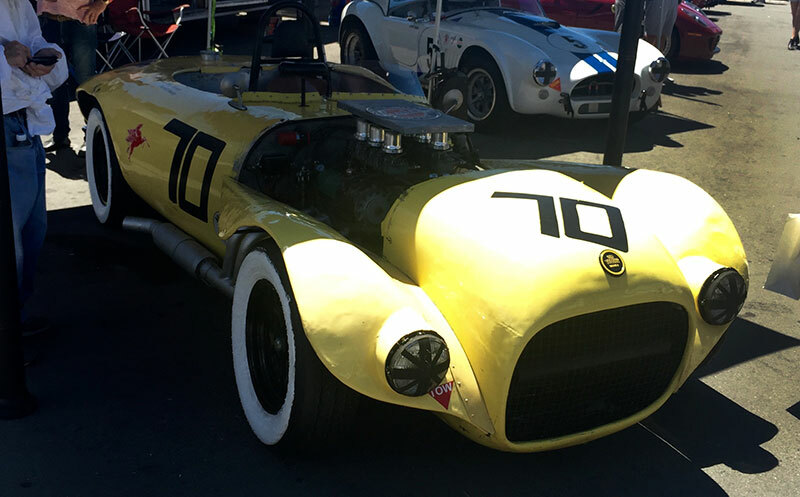 Old Yeller II competed in 1960s in all the major California race events in Pomona, Riverside, Santa Maria, and Laguna Seca. Old Yeller II might look like the race car equivalent of a junkyard dog, but you won’t find a purer breed of true Southern California racing stock. I was able to see the legendary 1950 creation of Max Balchowsky and Hollywood Motors at the recent 2015 Rolex Monterey Motorsports Reunion. It did not disappoint. 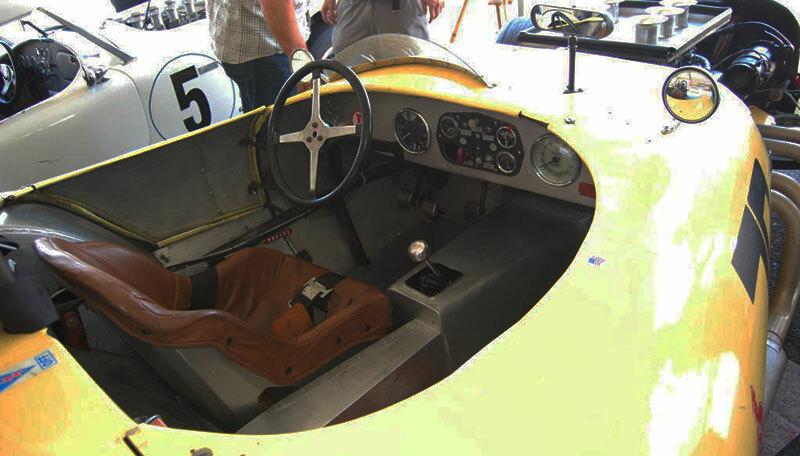 The design of Old Yeller II started with chalk lines on the floor of Hollywood Motors, where Balchowsky set out his concept of the ideal wheelbase for a race car, noting where the major components would be placed for optimal weight distribution. A tubular box frame was created, and a big-block 401 “Nailhead” Buick engine was selected. (The engine’s nickname comes from the small head diameter of its valves.) The naturally aspirated Buick engine was good for 305 horsepower. This allowed the 1,870-pound car to move from zero to 60 miles per hour in less than 4 seconds. The body of Old Yeller II provided accessibility via aluminum body panels held on with quick release fasteners. The tires selected for the Old Yeller were Chrysler station wagon Goodyear Blue Streaks, based on their natural softness and grip. These wide whitewall tires have become one of the Old Yeller II’s trademark features. 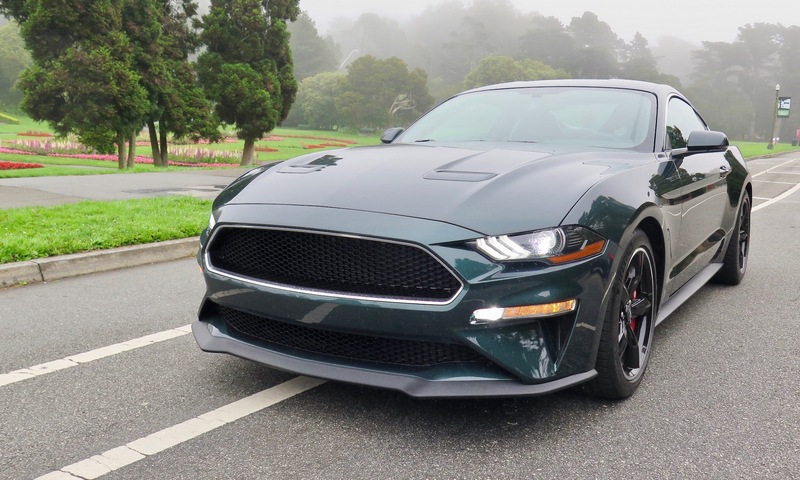 In the early 1990s, Ernie Nagamatsu, purchased the car, and continued to campaign Old Yeller II at racing events like the Goodwood Revival, and the Rolex Monterey Motorsports Reunion. 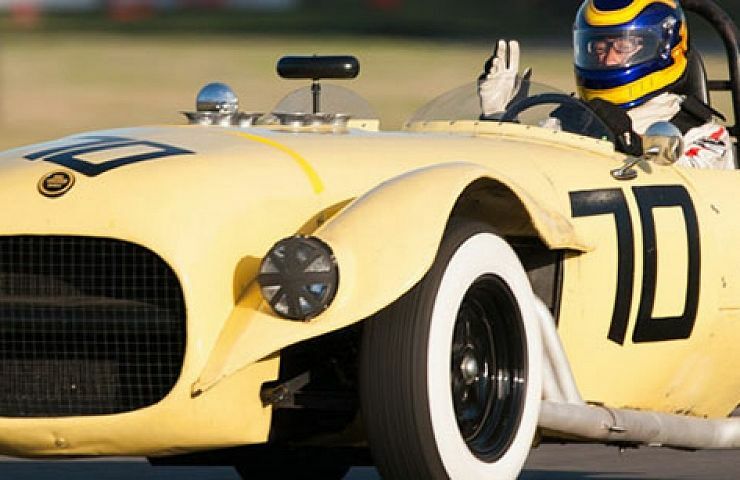 Old Yeller II was also featured at the 2002 Pebble Beach Concours and Amelia Island Concours. Nagamatsu is a dentist by profession, but a gearhead and racer at heart. He started racing more than 20 years ago—maintaining a close friendship with Max Balchowsky. 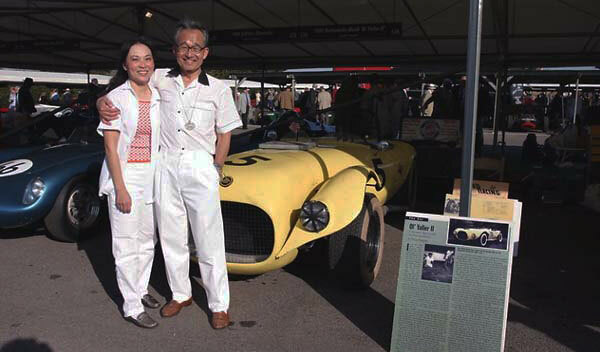 Today, Nagamatsu and his wife Elaine keep the spirit of Old Yeller II alive by giving today’s young motorheads the opportunity to get a up-close and personal look at a legendary vehicle from the golden age of the California sports cars.